It is never a judicious choice to neglect symptoms of dizziness or related changes to the balance of your body. 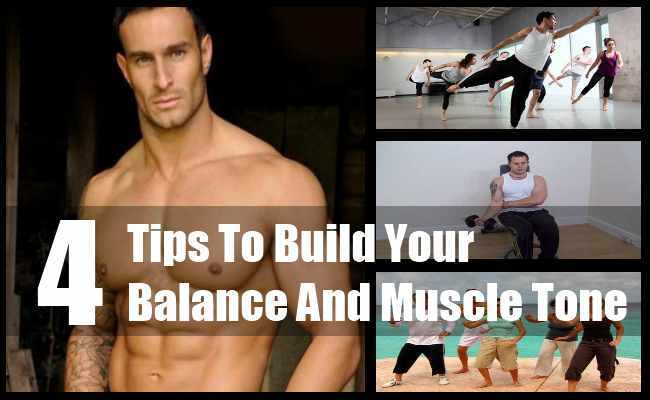 Generally, problems related to body balance develop with age and hence it is necessary to take necessary steps so as to build muscle and maintain body balance as well. If in the case, you are interested to maintain appropriate body balance then you must take every possible step towards gaining considerable muscle strength as well as become more active and agile. Dance classes prove to be of immense help if you are on the lookout to maintain body balance as well as develop muscle tone. Dance class proves to be of immense help especially for the older citizens as it make muscles stronger as well as improve coordination too. For individuals who are confused as to how to grow muscle, they must realize the fact that Tai Chi classes can prove to be instrumental in improving your body balance. The main reason as to why tai chi proves to be effective to improve body muscles is due to the simple fact that tai chi involves controlled and slow body movement.It is necessary to wear comfortable clothes while taking the tai chi classes. Wearing comfortable clothes along with proper shoes can help you to improve body balance as well. Tone your muscles to the possible extent with the aid of balance bicep curls. While practicing the balance bicep curls, you must position yourself in a straightforward position and the feet must be at a distance of close to hip-width apart. The direction of the palm must be towards the ceiling and the elbow must be in a curved position too.In the left hand, it is necessary to fold weight. It is necessary to make a concerted effort to position the right leg at a distance of six inches above the surface of the ground. It is necessary to maintain this particular position for a period of close to thirty seconds. Walking exercise plays a significant role in maintaining/developing body balance as well as strengthening the calves too. Position the right hand to a wall so as to improve body balance. Position yourself on the ball and make a concerted effort to lift the feet from the surface of the ground.Make an effort to walk a distance of at least 10-ft. You must ensure that the weight of the body is towards the big toe than the smaller toe. Next, you must take 10 steps in the backward direction by simply standing on the ball. The position of the left hand must be on the wall itself. The walk exercise can prove to be helpful in maintaining body balance if practiced in the ideal manner. It is necessary start the exercise routine with lightweights so as to gain the best possible results. It is wise to start the workout session with lighter weights since it helps to prepare the body to take the additional burden of heavier weights.